The kinds of fat that you eat can influence your energy expenditure and bodyweight. Energy is released through heat production in a process called nonshivering thermogenesis, which is controlled by uncoupling proteins (UCP) in the cells of brown fat, white fat and muscle. Researchers interested in finding out if diet can influence this process investigated possible dietary enhancements of thermogenesis in rats. They found that olive oil, which is high in monounsaturated fats, increased the activity of the UCP's, and hence of metabolic rates. Because of the short duration of the study, published in the American Journal of Clinical Nutrition, no differences in bodyweight were recorded between the rats fed olive oil and those fed other fats. 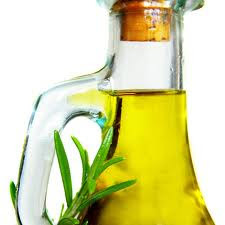 However, international studies have shown that Mediterranean-style diets higher in olive oil are associated with weight maintenance and little weight gain over time compared with diets lower in olive oil. However, overall fat consumption still does add many calories to the diet, and those subjects with a very high fat consumption were overweight compared to those who controlled their total fat intake.